We are Best2Serve, an innovative online retailer specialized in selling digital services for HP devices. In co-operation with HP's European Customer Service organization, we strive to offer the most relevant solutions based on your needs either if you are a home-user or a small business. Our goal is to provide our customers with a complete selection of HP support services and HP products while granting a safe online shopping experience and excellent customer service. At Best2Serve you can benefit from our HP expertise as we are proud of being HP official partner since 2009. Best2Serve is a subsidiary of Ingram Micro Commerce EMEA B.V., the world's largest distributor of computing and technology products which also especializes in the full commerce lifecycle of any product or service. Ingram Micro Commerce EMEA services include e-commerce, payment, fulfillment and logistics services enabling our customers to thrive in the constantly evolving world of commerce. 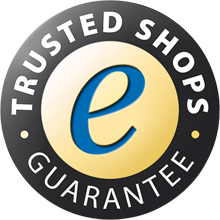 We value what our customer say and for that purpose we work with our independent partner Trusted Shops, where customers can leave their comments online.